Aquarium lights and bulbs selection is very important to your fish, corals, and other inhabitants in your tank. Aquarium lighting from metal halide bulbs to power compact is vital for successful reef keeping and aquatic plant growing in freshwater and saltwater tanks. The amount and type of lighting you need depends on the type of aquatic plants and corals you have. A general rule is to keep your tank lit for 6-8 hours a day on average with the proper kelvin bulbs. 6500k - 6700 kelvin for freshwater planted tanks, aka as 67k PC bulbs. What are metal halide bulbs used for? In the aquarium industry they are used for growing saltwater corals. Other industries use them for general lighting of warehouse spaces. 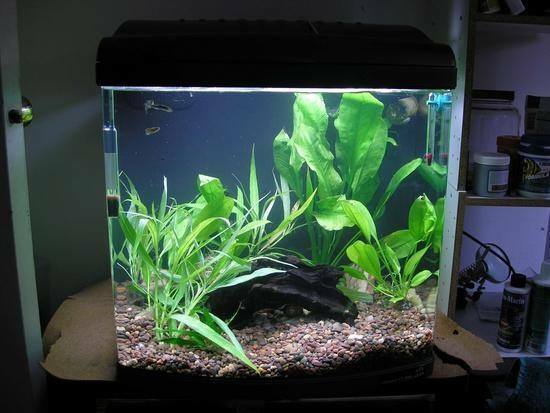 Please email us if you have any questions on aquarium lights and what is best for your fish tank.